With the help of the latest in 3D printing technology, Shapeways has redefined how a factory floor works. Instead of an assembly line where workers slowly assemble a single product, a sea of 3D printers methodically build up a myriad of different objects all at the same time. 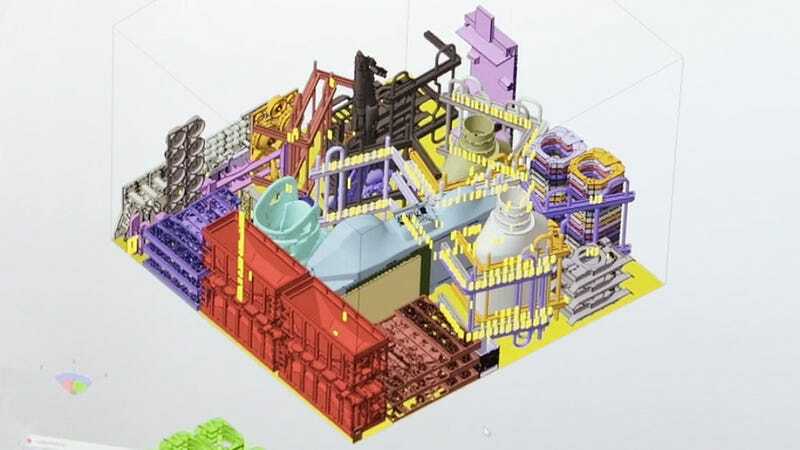 And to maximize the print runs—which can usually take anywhere from 24 to 36 hours—the company uses a special piece of software that lets them cram as many 3D models onto the printbed as possible.